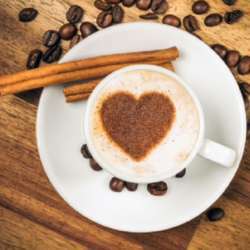 Fall in Love over a Cappuccino in Nordend ? Come and celebrate with me the season opening of Frankfurt's #1 icecream parlor in FFM-Nordend. Maybe they'll have Espresso, Cappuccino, etc. again for only 1 Euro that day as they had in the past (see Protected content ). I'll have a Spaghetti ice to go with . . . maybe . . . and a piece of cake from Cafuchico right across the street . . . maybe . . .